The overarching objective of this new electoral act is to reduce human interference in the electoral process and minimize corruption. In this regard, the Electoral Act amendment mandates the immediate transmission of voting results from polling units to collation centers. This will help to give real-time results and updates and end election malpractice. This amendment provides a fair and more level playing ground for all contestants by mandating INEC to publish all voter registers 30 days before the election. This will end the manipulation of voter registers. 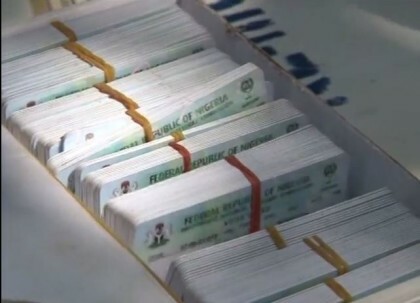 In the case of missing names on the voter register, voters have 30 days to complain to INEC. The Electoral Act amendment gives INEC powers to utilize full biometric accreditation of voters with smart card readers and/or other technological devices, as INEC may introduce for elections from time to time. The Electoral Act amendment ensures that political parties can no longer impose arbitrary qualification criteria on candidates. This will encourage younger voters to contest, promote competition in the process, and make elections more free and fair. The Electoral Act amendment sets out a more rigorous process for the determination of candidates, as well as creates dispute resolution mechanisms that will allow those who are aggrieved to petition quickly. The Electoral Act amendment sets out the maximum expenses that can be incurred by every politician who is seeking election, as well as designates the fees that aspirants will pay to political parties to purchase forms. This means that our elections will no longer be about money and politics, but about competence. The Electoral Act amendment ensures that the names of candidates must be submitted not earlier than 90 days before the election, and not later than 60 days before the election. Additionally, candidates can only be substituted not later than 30 days before the election. Additionally, in the case of resignations, the person who is resigning must do so physically (in-person) — and his/her resignation letter will be transmitted to INEC. The Electoral Act amendment specifies that in the case of a death occurring before an election, such election will be suspended for 21 days and a replacement will be done within 14 days — the remaining the 7 days will be used for campaigning.